The quote “You Can’t Go Home Again” is taken from the title of a novel by Thomas Wolfe. It’s not a quote you could apply to rock musician Tom Keifer. He is going home again. Keifer is a local boy who rose to international fame as the lead vocalist of the glam-rock band Cinderella. He is a Philadelphia area native who relocated to southern New Jersey during the Cinderella days and then moved to Nashville around 20 years ago. 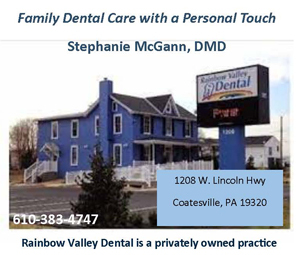 More specifically, Keifer grew up in Delaware County and graduated from Springfield High School. On April 28, he is returning to the area to perform a concert just a few miles from his hometown. Keifer and his band will perform at Harrah’s Philadelphia’s The Block (777 Harrah’s Boulevard, Chester, 484-490-1800, http://www.caesars.com/harrahs-philly). “I moved to Nashville in the mid-1990s,” said Keifer. “Cinderella had broken apart. I moved here because it’s such a creative community. I wanted to put together as solo band and this is where the musicians are. Keifer worked on his solo album in-between Cinderella reunion tours and the birth of the first child for him and his wife Savannah (Snow) Keifer. “I was pretty disgusted with the music industry,” said Keifer. “My wife Savannah, who is a songwriter, had gone through a similar thing. She was signed to some big companies in Nashville and had to deal with the same kind of things. Keifer almost lost his ability to sing when he was diagnosed with vocal cord paresis. The incurable ailment involves the periodic loss of voluntary movement of the vocal cords. Fortunately, he now has the disorder under control. Keifer and his band mates — Tony Higbee, guitars and vocals; Billy Mercer, bass and vocals; Paul Simmons, drums and vocals; Paul Taylor, keyboards and vocals; Savannah Keifer, vocals, percussion and piano; Kendra Chantelle, vocals and percussion — have been touring in support of the album ever since its release and they’re still not showing any signs of stopping. The new tracks will be featured as bonus material on an expanded, deluxe edition of”The way Life Goes.” Set for release later this year, the package will also include the original album that is currently being re-mastered by Richard Dodd (Kings of Leon, Jason Aldean, Lady Antebellum), a bonus DVD with video extras, a documentary about the creation of the bonus tracks, and exclusive interviews with the band filmed during the new recording sessions. The as-yet-untitled deluxe set will be wrapped in an all new expanded art package designed by artist David Calcano (creator of the Fantoons comic strip series) with one-of-a-kind unique illustrations depicting each song. 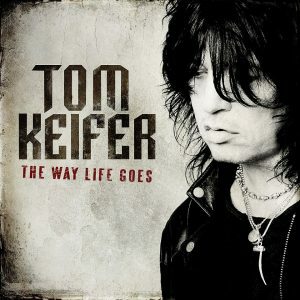 Video link for Tom Keifer —https://youtu.be/T7tAh1862eI. The show at Harrah’s will start at 7 p.m. Tickets are $25. Other shows this weekend at Harrah’s will be Completely Unchained, a Van Halen tribute band, on April 29 and “I Love the 80’s & 90’s Old School Party 2” on April 30. Another music act with a long history will visit the area on April 29 when the Sellersville Theater (24 West Temple Avenue, Sellersville, 215-257-5808, www.st94.com) hosts Cowboy Junkies. 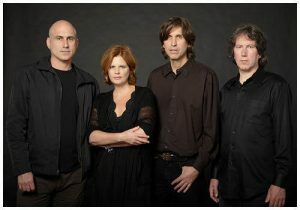 Now, Cowboy Junkies have announced select 2016 tour dates in support of their latest release “Notes Falling Slow.” After an 18-month break from touring, the band is revitalized and ready to hit the road. The band will be performing two sets each night, with the first set focusing on the material from their recently-released “Notes Falling Slow” box set. The second set will reach back and delve deep into the group’s extensive catalog. “Notes Falling Slow” (Latent Recordings) includes re-mastered versions of the three studio recordings that the band released in the 2000s — “Open” (2001), “One Soul Now” (2004) and “At The End Of Paths Taken” (2007). A fourth disc — “Notes Falling Slow” — features songs that were written during the making of the three studio albums, but never completed or released. A few of these songs made it to the band demo stage, some never made it past songwriting demos and a couple were completed but were left off the final albums. “You always revisit your repertoire to find songs to put in a show,” said Margot Timmins, during a phone interview last week from her home in Beaver Valley, Ontario. “When we were putting together a previous tour, we were listening to some of our older music. These three albums were written in the early part of the century and were totally different from each other. “When we started to re-listen, we didn’t remember them. When we listened, we realized that the lyrics had similar stages — babies coming into world, parents going out or starting to. It was a really weird period. To us, it was a missed period because we all had children late. We realized that our audience now had teenagers of their own. The band’s history stretches back over three decades — back to the Timmins family home in Ontario. “Our dad was in the aviation industry,” said Timmins. “We’d be eating dinner and he’d go to his reel-to-reel and play music for us. Our house was always filled with music and he instilled that need in us. We all liked playing music. “When my brother Mike got his B.A. and finished college, he decided he wanted to be a musician. When he came back to Toronto, it started coming together. My brother Peter got some drums and Mike asked me if I wanted to sing. With several Juno Awards “Group of the Year” nominations and more than 20 albums to their credit, it appears as if they made the right decision. Video link for Cowboy Junkies — https://youtu.be/edevIzrUVjQ. There will be two shows at the Sellersville Theater on April 29 — 6 p.m. and 9 p.m. Tickets for either are $39.50 and $55. The Sellersville Theater will also present a show by the Quebe Sisters on April 30. The Quebe Sisters are a fiddle-centric Western swing group from Texas. The band features a trio of sisters — Grace, Sophia and Hulda Quebe. Formed in 2002, the band performs fiddle music — Western and traditional Texas style — along with Western swing and vintage country. When the Quebes (rhymes with “maybe”) take the stage, the triple-threat fiddle champions play and sing in multi-part close harmony. The trio’s vocal and instrumental performances are authentic all-Americana. “My sisters and I started playing music for fun,” said Hulda Quebe, during a phone interview last week from the sisters’ home in Dallas. “We grew up in Krum, Texas. We never thought we’d play music professionally as fiddlers. We just played little Suzuki violins. It was fun. When Hulda, Sophia and Grace were ages 7, 10 and 12 in 1998, they attended their first local fiddle competition in nearby Denton, and decided fiddling was what they wanted to do. The sisters earned solo and group accolades early on — winning state and national championships in their respective age groups in 1999, 2000, 2001 and 2002. “Our teachers were Sherry McKenzie and her husband Joey McKenzie, who was a professional fiddler,” said Hulda, the youngest of the three. “They gave us music to listen to — western, jazz and country. The three of us would sit in the same room and take lessons together. We’d all learn the same kind of material and we kept progressing at the same level. We learned about chords and arranging. Soon, we were playing gigs. 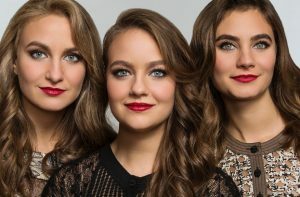 Along with headlining their own shows, the Quebe Sisters have shared stages with American music legends like Willie Nelson, George Strait, Merle Haggard, Ricky Skaggs & Kentucky Thunder, Ray Price, Connie Smith, Marty Stuart, Larry Gatlin and the Gatlin Brothers, Ray Benson and Asleep at the Wheel, and Riders in the Sky. “Our first album in 2003 — ‘Texas Fiddle’ — was an all-instrumental album,” said Hulda. “We weren’t really a band yet. We’re proud of that album. We were kids and we did a good job. One of the people who recommended we do vocals was Ricky Skaggs. He invited us to play the Grand Old Opry. Video link for the Quebe Sisters — https://youtu.be/QANZnAKDvc8. The show by Quebe Sisters, which features The Hello Strangers as the opening act, will start at 8 p.m. Tickets are $19.50 and $29.50. Other upcoming shows at the venue in Sellersville are Barry McGuire and John York on April 28, Spyro Gyra on May 1, John Hiatt on May 2 and Simo on May 4. On April 30, the Wild Feathers will make a return visit to Philadelphia to treat fans to a heavy dose of music from their new album “Lonely Is a Lifetime,” which was released last month on Warner Bros. Records. The band will headline a show at The Foundry at Fillmore Philadelphia (1100 Canal Street, Philadelphia, 215-309-0150, www.thefillmorephilly.com). The Wild Feathers are an American rock and roll band. The band’s home is in Tennessee and there are country influences in the band’s music but the group is far from being just an Americana act. 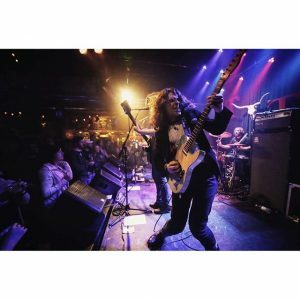 The foursome of Taylor Burns (guitar, vocals), Ricky Young (guitar, vocals), Joel King (bass, vocals) and Ben Dumas (drums) just released its sophomore album “Lonely Is a Lifetime” and appears poised to be one of America’s next big bands. But, the Wild Feathers are far from what you’d call an overnight success. “We’re based in Nashville,” said Burns, during a recent phone interview as the band was travelling through Washington state on its way to a show in Seattle. “Ricky and Joel were living in Nashville and had mutual friends. They were in Austin with a friend of mine and we met. We were having a few beers and hanging out. We brought guitars. One thing led to another and we started writing together. “We had some interest from Interscope Records at the start and they’d put us up for months at a time in L.A. so that we could write together. We did that three times but we were all still living at home. After awhile, I decided to move from Austin to Nashville and I’ve been there for about four years. The Wild Feathers had music ready to get out to the world but no avenue to do it. “The first album was already written at the time,” said Burns. “But, we were waiting in exile — unsigned and drifting along. Our A&R guy left Interscope and went to Warner Bros. Records and he signed us. “The day we went in the studio was the day we signed the contract. We had kind of demo-ed the songs two or three times already and then we did some pre-production. We record really fast. We’ve spent less than three weeks in the studio on each of our albums. Our producer Jay Joyce likes to work fast and so do we. “We sat on the first album for a year and toured the whole year. Then, we kept touring for another year. All that touring made us better musicians. We were more focused on what we wanted. We became tighter and more close-knit. And, we got more rock. As a result, “Lonely Is a Lifetime” reflects a richer confluence of influences, while maintaining the band’s signature soul and spirit and a nod to all that time on the road together. Following the first album’s marathon of touring, the band retreated to a cabin in Muscle Shoals, AL. It was there they collectively sifted through the myriad ideas accrued on the road. Their three singular voices began to shine within the new material, giving a platform to their respective identities as both singers and writers. Produced once again by Jay Joyce (Cage the Elephant, Zac Brown Band, Patty Griffin, Fidlar), and mixed by D. Sardy (Oasis, The Rolling Stones, Nine Inch Nails), “Lonely Is A Lifetime” is the follow-up to the band’s 2013 self-titled debut, which hit No.1 on Billboard’s Heatseekers chart. On the new album, the Wild Feathers pay homage to the musician that was the catalyst for the merging of rock music and country music — the late Gram Parsons, former Byrd and co-founder of the Flying Burrito Brothers. After two years of touring, the Wild Feathers have developed into a very tight unit — a band capable of performing great on stage and delivering in the recording studio. Video link for the Wild Feathers — https://youtu.be/oTYdz0ZMOz0. The show at The Foundry, which also features The Shelters and TJ Kong and the Atomic Bomb, will start at 8 p.m. Tickets are $17. Other upcoming shows at The Foundry are The Lawsuits, Former Belle, Foxtrot, and the Get Down on April 29; Youth Code on May 1 (6:30 p.m.); and Questlove on May 1 (11 p.m.). 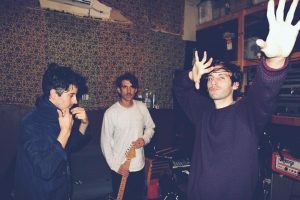 James Supercave is a band from Southern California that will be in the area on April 30 for a show at Underground Arts (1200 Callowhill Street, Philadelphia, http://undergroundarts.org). The trio of guitarist Joaquin Pastor, keyboardist Patrick Logothetti and guitarist Andrés Villalobos creates music that is hard to describe. The lyrics are cerebral, a bit obscure — and definitely spacey. The vocals are expressive, pensive — and definitely spacey. The instrumental parts are muscular, obtuse — and definitely spacey. James Supercave’s debut album “Better Strange” was recently released on Fairfax Recordings. “Better Strange” was co-produced by Kevin Augunas (Cold War Kids, Nick Waterhouse, Edward Sharpe & the Magnetic Zeros) and the band. It is available on 2xLP limited edition white vinyl (limited to 500), 2xLP black vinyl, CD, and digitally. In 2014, a demo of their song “Burn” made it into rotation at L.A.’s tastemaker radio station KCRW, which gave the single a coveted “Track of the Day” designation. “The band formed in the Echo Park/Silverlake area of Los Angeles. We’re a trio but we’re a five-piece when we play liver. In the past, we’ve had some rhythm section changes. “Echoplex (a club in Echo Park) is our home club. We’ve played there ever since we started. We’ll have our homecoming show there next month at the end of this tour. Me, Patrick and Andrés made the album. When we’re making songs, everyone touches everything. It’s a think tank. “Most of ‘Beter Strange’ was done to tape and we had control over the edit. We synched it to ProTools. We’re pretty detail-oriented so there was a lot of splicing and dicing. It was basically a self-production — along with Kevin (Augunas) at Fairfax Recording Studio. He also runs Fairfax Records. He’s a friend who has been a fan of ours for a long time. He has a new label and we were one of his first acts. “There was a lot of mixing as we went –and that took time. We were still making changes right until the end. I actually added some audio after the masters were done. The only reason the record ever came out was because we had a deadline. Otherwise, I’d still be making changes. “We walked into the recording sessions with a bag of 30-40 songs and only nine made it to the album. A couple songs are three or four years old and a couple were written in the studio. The record feels all over the place — songs from all over the map. Video link for James Supercave — https://youtu.be/gfKYg-9MCYA. The show at Underground Arts, which has Wild Belle as the headliner, will start at 8 p.m. Tickets are $14. Other upcoming shows at Underground Arts are MH The Verb and GR Stone with Kuf Knotz plus The Flowdown, Ill Fated Natives and Luke O’Brien on April 28, Fat White Family and Dilly Dally with Littler on April 29, and West Philadelphia Orchestra and Slavic Soul Party on May 1. 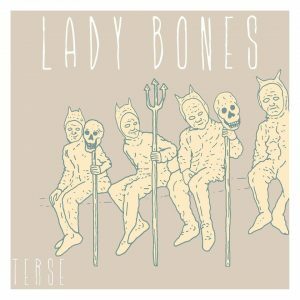 Lady Bones will release its new EP “Terse” on April 29 via Midnight Werewolf Records. On April 30, the band will visit the area for a show at Nico Nico Mansion (40th and Green streets, Philadelphia, https://www.facebook.com/events/1688652884741733). One of Boston’s most highly-regarded young bands, Lady Bones — Sean Gilston (vocals,. guitar), Jeremy Jackson (bass) and Egon Ryan (drums) — released its full-length debut ‘Dying” just over a year ago. Picking up where they left off with their debut, the three musicians followed with an album of melodic, sludgy indie rock with twisting structures that shift without warning. The three friends have been playing together since 2011 when they met as high school students. There is no stylistic leader of Lady Bones. The band writes songs for each other and teak individual ideas to fit the needs of the group as a whole. “We recorded ‘Terse’ at Format Studio in Amesbury, Massachusetts with Ryan Stack,” said Gilston, during a recent phone interview from his home in Boston. “He’s a great engineer. “We banged it out in about four days. A lot of the songs we had been working on for about three months prior and one was a last-minute addition. We write together. There is no singer/songwriter in the band. We just go into our practice space and hash it out. We’re definitely a group. “With every new batch of songs we write, they always end up a bit different. This new EP is definitely different from the album. The songs are a lot shorter — and a little more straight-forward. On the full-length, we’d take a song and see how far could take it. The band members’ respect for each other as friends plays a big role in the music. “We grew up in New Hampshire — in the Portsmouth area,” said Gilston. “Me and John have known each other since middle school. We met Egon at a jazz summer camp in school. We’ve been hanging out together ever since. The show at Nico Nico Mansion, which also features Pet, Seismic Thrust and The Honeymoon Band, will start at 8 p.m. Tickets are $10. 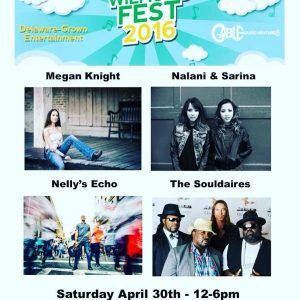 Wilmington University will be presenting an event called “Wilmusic Fest” (320 North DuPont Highway, New Castle, Delaware, http://events.wilmu.edu/site/alumnianddevelopment/event/wilmusic-fest-16) on April 30. The festive spring event, which is scheduled to run from noon-5 p.m., will feature live music, food trucks and craft vendors. The lawn event is free and open to the public. The schedule of live performances features Megan Knight at 12:45 p.m., Nelly’s Echo at 2 p.m., Nalina and Sarina at 3 p.m. and The Souldaires at 4 p.m.
Nalani & Sarina — twin sisters Nalani and Sarina Bolton — are seasoned musicians even though they just turned 22. They are vocalists, songwriters, multi-instrumentalists who know how to rock, write insightful melodic songs and how to get their funk on. The Souldaires are a rock/soul/funk fusion band featuring frontman Darnell Miller. The band has roots in gospel, jazz and many other genres leading to a sound that is unique to the band. Participating food vendors will be The Plum Pit, Kapow, Wildwich and Scoops. Outside food or drink will be prohibited. Video link for The Souldaires — https://youtu.be/rNdDVP4RLCM. The Flash (102 Sycamore Alley, Kennett Square, 484-732-8295, http://www.kennettflash.org) will feature Open Jam with Davey Dickens & The Troubadours on April 28, The Bullets, Betty & The Bullet, Origami for Addicts, Kid Michael Davis on April 29, All Good People – A Tribute to Yes on April 30 and Open Mic with guest hosts Elliott & Andrew from Vinyl Artifacts on May 1. The Steel City Coffee House (203 Bridge Street, Phoenixville, 610-933-4043, www.steelcitycoffeehouse.com) will host PHILLY IN THE BURBS with Avi Wisnia, Song Dogs and Last Full Measure on April 28, Sean Rowe on April 29 and Marshall Crenshaw on April 30. The Colonial Theatre (Bridge Street, Phoenixville, 610- 917-1228, www.thecolonialtheatre.com) will present Jim Florentine on April 29 and The Eric Mintel Quartet on April 30. Chaplin’s (66 North Main Street, Spring City, 610-792-4110, http://chaplinslive.com) will host a show by Matt Szlachetka on April 30. The Ardmore Music Hall (23 East Lancaster Avenue, Ardmore, 610-649-8389, www.ardmoremusic.com) will have Perpetual Groove, and The Beating (members of Brothers Past & Grimace Federation) featuring Jesse Miller of Lotus on April 28, Consider The Source, and Out of the Beardspace on April 29, Start Making Sense (Talking Heads Tribute) on April 30 and Dweezil Zappa & The Zappa Plays Zappa Band: Performing the Music of Dweezil Zappa on May 4. Doc Watson’s Public House (150 North Pottstown Pike, Exton, 610-524-2424, docwatsonspublichouse.com) will host the Mystery Guest band on April 29 and the Tommy Froehlich Trio on April 30. Burlap & Bean Coffeehouse (204 South Newtown Street Road, Newtown Square, 484-427-4547, www.burlapandbean.com) will present Ben Arnold with Andrea Nardello on April 29, and Dan Collins and Katie Barbato with Brooke Annibale on April 30. The Keswick Theater (291 N. Keswick Avenue, Glenside, 215-572-7650, www.keswicktheatre.com) presents Chrisette Michele, MeetSims, and Lil’ Mo on April 29, and Under The Streetlamp on April 30.